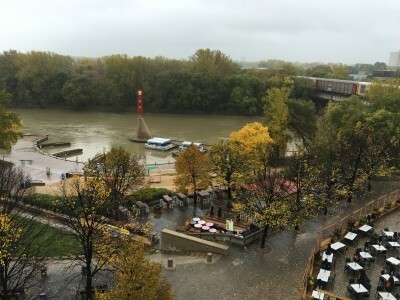 The Forks is a historic site, meeting place and green space in Downtown Winnipeg located at the confluence of the Red River and Assiniboine River. 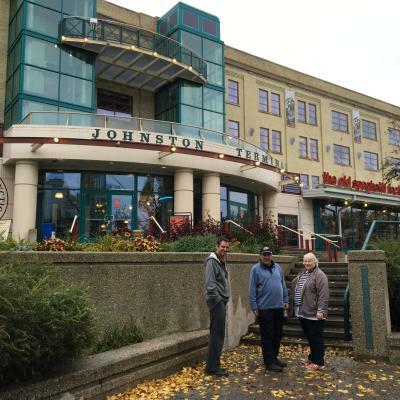 For at least 6000 years, the Forks has been the meeting place for early Aboriginal peoples, and since colonization has also been a meeting place for European fur traders, Métis buffalo hunters, Scottish settlers, riverboat workers, railway pioneers and tens of thousands of immigrants. 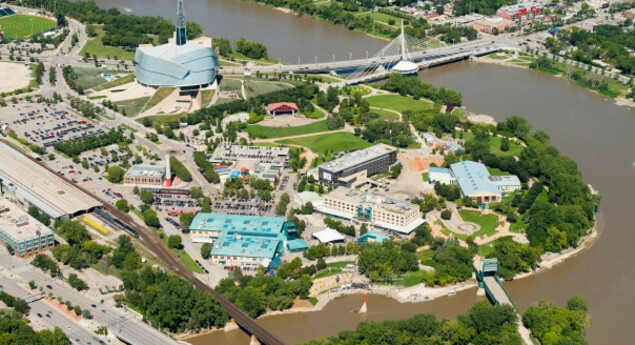 Today, framed by the banks of the two rivers, The Forks is Winnipeg’s number one tourist destination with more than four million visitors annually. 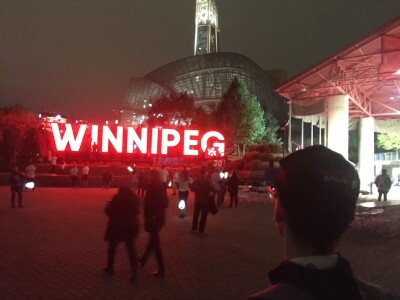 Winter, spring, summer or fall, The Forks is a must for a stunning array of dining experiences, incomparable shopping, a constantly changing slate of entertainment and events, and many unique attractions that encompass the site’s natural, historic and man-made features. I loved how it really lived up to its name as the meeting spot. Everyone from families and friends were using this place as a gathering place. No matter how many times I've been to the forks there is always something new to do! 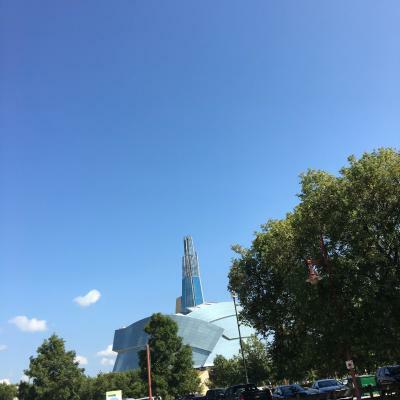 If you're visiting Winnipeg for the first time The Forks is kind of a must see! 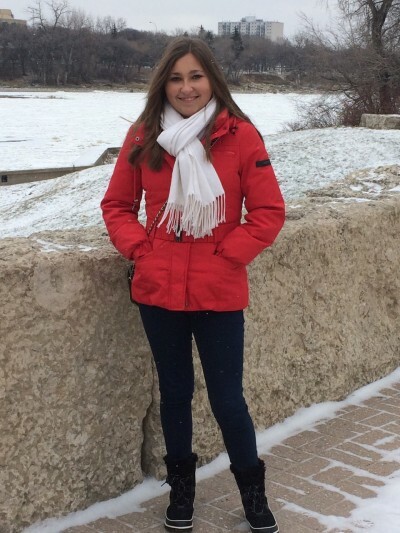 This picture was made in Winnipeg, Manitoba and it shows me experiencing the first cold winter in my whole life, because I have never known how cold -30°C are. 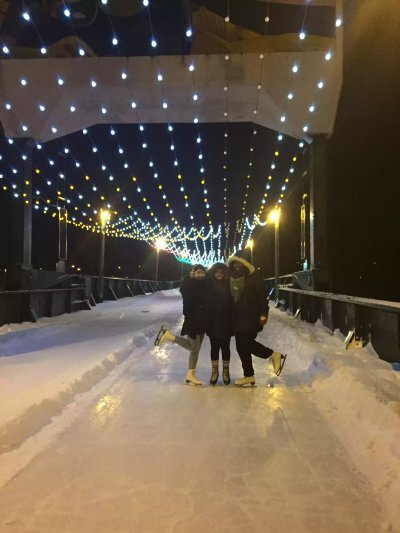 Skating at the Forks in Winnipeg, Manitoba at night sums up my Canadian life from braving the cold as a Canadian to warming up by being surround by your friends and family. Skating depicts a journey of life and culture, as there are many paths at the forks that are all unique. One path leads to a hockey rink that makes me feel proud to be Canadian. Even though I cannot play hockey, I love cheering on the players. There is a bridge full of pretty lights that reminds me to appreciate all of the little details in life; it displays that the many little bright times in life shine against the darkness or negativity. It reminds me to be thankful for all of the positive aspects in my life. When I slip or think I am going to fall, my friends or family are always there to give me a hand. If I do fall, I just get back up again, reminding me to never give up despite all of the obstacles that may stand in my way. The skating paths may be smooth, but they can also be bumpy, which signifies the not everything is perfect. The people skating are of all different cultures and skill levels, which makes seeing all of these different people remind me the multiculturalism of Canada. Skating to me signifies the lessons of life. Although skating may not be the perfect event, as it is rough ice, the wind is cold, and ankles begin to tire, it means making the best of what there is. 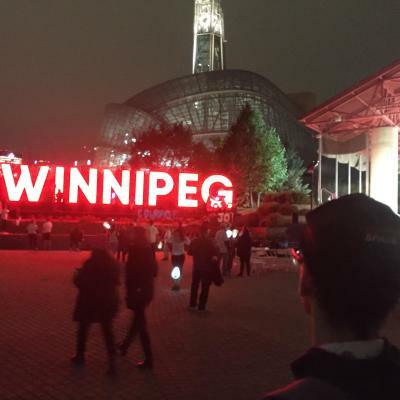 Winnipeg, Manitoba may have the many aspects to complain about, but with a positive outlook, it can be feel like the heart of Canada.